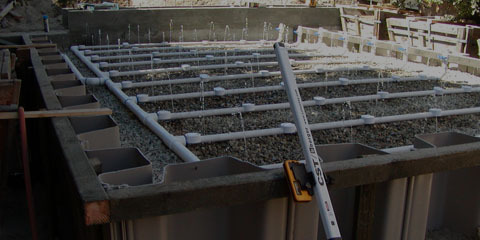 On the Level has installed over 10 plus tanks for customers of mine in the Ventura county area, mainly out in Camarillo. Jason and his guys are amazing and get the job done. One thing from having experience with working with them is that they can't give you an exact price because in a perfect world your old tank could be installed funny or have other issues with your set up which you can't figure out til you end up working on it. Tank replacement costs have been roughly 10k from what my clients have seen. If you have a septic remember to pump it every 2-3 years(if a family lives at the home) 3-4years (if it's just 2 people) it's not how much solids you get in the tank but the gases that are trapped in it that breaks down the tank and baffle wall over time. We were in the works of building an addition to our home when we found out we needed to have our existing septic tank inspected for permitting. I knew absolutely nothing about septic systems so I asked a couple neighbors who they recommended, and they all pointed me to On the Level. I initially called Jason to pick his brain about digging up a septic tank and to see if he was the one who installed it originally. Without hesitation and without knowing he would even get a penny from me, he drove over to my home to take a look. Because I was having no luck uncovering the lids, he graciously got down in the hole we had dug to do some reconnaissance. Unfortunately, within minutes, he revealed to me we didn't even own a tank, but instead had a cess pool that would need to be replaced so we could continue our addition. Worst case scenario for sure, but Jason made the process easy and as painless as possible. He gave me a ballpark figure, explained the process in detail, and told me to call him after I had done research and had gotten other quotes. Within a week I called him back, and he brought a couple guys out to take another look at our property. 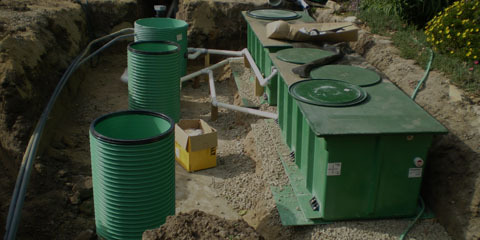 The way our land and house is situated is tricky in regards to installation, so he wanted to consult with another set of eyes on what would be the best type of container and location for our new septic tank and seepage pit. Jason checked his calendar, we set a date for the 5-7 day process, and the work soon thereafter began. Jason himself was onsite at some point every day to monitor progress and provide updates to us, and he was very easy to get hold of as questions arose. I felt very safe and secure with his crew around every day and even enjoyed our morning banter as I loaded my toddler into the car to head out for the day. I was extremely impressed with the guys Jason has chosen to represent him and perform the work on behalf of On the Level as they are stand-up guys and truly exude the mission Jason portrayed to me on day one. Sometimes after the owner quotes your job and takes off, the crew left behind is less than stellar, but that is simply not the case with On the Level. Jason and his crew are second to none. On the Level was quick, efficient and completed everything as promised. They were very easy to work and communicate with and able to adjust on the fly as schedules changed and/or they ran into some unexpected challenges. The crew was also very conscientious of leaving our yard and driveway in the same condition as they found it. The work site was cleaned up and boarded up with appropriate safety signage each day, and I felt they truly treated this project as if it were being done at their own home. I don't ever wish to have to install a new septic tank again, but I do wish On the Level specialized in other construction as I would rehire them in a heartbeat. If you are in the market for a new septic system, call Jason at On the Level. His price is fair and his expertise is superior. You will be amazed at how at how he can turn a stinky project into a pleasant one. Our septic system was installed in 1951. It was obviously not working correctly in 2016. We hired On the Level Septic to figure out the problem and fix it. Jason's bid was complete and fair for a septic tank replacement. All work activities and materials were clearly listed. Jason and his crew showed up on the day he said they would with enough equipment to level a mountain. With every scoop of dirt, the job had surprise after surprise which required creative, professional solutions and a lot of flexibility. Nothing was easy or as it first appeared. When everything was finally exposed, Jason, Sam, and John engineered a very creative outside the box solution. Jason managed to keep his costs reasonable despite a lot of changes which had to be made as the job developed. Jason kept his bid up to date, removed items that were no longer required, and added items as the project scope changed. He and his team communicated with us often and shared their ideas in a collaborative way. We always felt fully informed. Through the whole process On the Level managed to keep our plumbing functional while they worked. The whole job took 4 days. When they left, the job site was clean and graded. They even removed and disposed of an enormous agave that I hated. It was blocking the path of their skip loader. Jason asked if he could remove 25% of it. I encouraged him to remove 100% of it if he could. It and two nearby dead trees were gone when we got home from work! We got a great system for a very fair price. These guys are pros, through and through. We wish they did all kinds of other contracting work. We cannot recommend On the Level Septic highly enough. They are talented, honest, professional, creative, and thorough. We are delighted with their work and work ethic. It was Thursday late afternoon and my septic system was in total failure. This was a panic situation for my household of five! I called On The Level Septic Systems hoping they might be able to come out sometime on Friday. They did even better. Jason was at my door within the hour! He examined the situation and thoroughly explained what needed to done. It made sense! Not only did I have a full understanding of what it would entail to correct our problem with the completion timeline, I was given a fair and competitive bid. Work started Monday morning at 7:00 AM. Jason and Sam wasted no time in getting started. They had the permit from the county, equipment in my yard and started digging. There was no time wasted. Jason told me it would take 4 days and it did! Every evening prior to leaving our home, they took the time to strategically place their equipment in such a way that it would deter anyone from entering the area as well as clearly marking the site with caution tape. They made sure things were safe. The nature of the work that needed to be done was messy. However, I was not left with a mess to clean up. When the job was completed they took the extra time to clean up and not leave me with a giant mess. 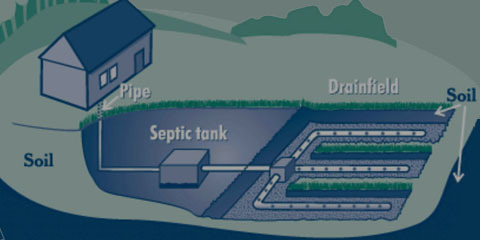 On The Level Septic Systems truly lives up to their name! I absolutely recommend without any hesitations. Thank you for all your help with our septic problem. You did a great job and we appreciate that you were able to get our sewer hooked up quickly and with few problems. It is so nice to have running water again!